Cassius Marcellus Clay, Jr., also known as Muhammad Ali, was born on January 17, 1942, and passed away on June 3, 2016, at 9:21 p.m. PDT. He was surrounded by his family at the Arizona hospital when he died, according to NBC News. The mayor of Louisville, Kentucky, Ali’s birthplace sent out a tweet indicating that the flags at all the metropolitan government facilities will fly half-staff on Saturday, June 4 in honor the deceased boxer. He was hospitalized in Arizona for respiratory problems on Thursday, June 2. On Friday, Lance Pugmire, a “Los Angeles Times” sportswriter posted a tweet that indicated the situation was grave for the boxer who was on life support machines. He has been plagued with medical issues since 1984 when he was diagnosed with Parkinson’s Disease. 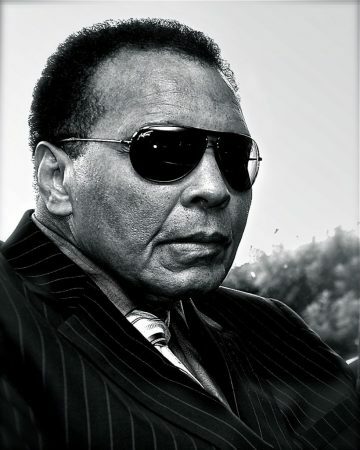 “New York Daily News” reported that family members were advised Ali’s condition was worse than it had been during previous admissions to the hospital. He is survived by his current wife, Yolanda Williams, who he married in 1986. Williams was his fourth wife. Ali has nine children, Muhammad Jr., Laila, Hana, Rasheda, Khaliah, Miya, Assad, Maryum and Jamillah. 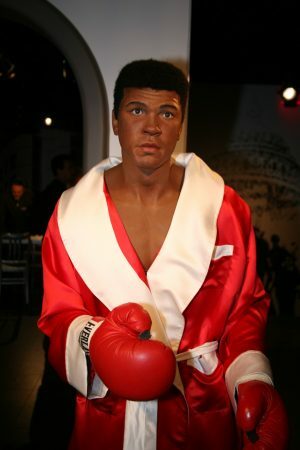 Biography described Ali as a social activist, a philanthropist and boxer. One story about how he began boxing surrounds an event that took place when he was 12 years old. After his bicycle was stolen he told Joe Martin, a police officer on Louisville, Kentucky. Martin explained to the young Clay Jr. that he should learn to fight before he attempted to challenge a thief. It was Martin who introduced the young man to boxing. Martin spent time at a local gym training young boxers. The young boxer’s first amateur took place in 1954, which he won by split-decision. Boxing in the light heavyweight novices class, in 1956, he won the Golden Gloves tournament. As a youngster, he also won the National Golden Gloves Tournament of Champions and the national title for the Amateur Athletic Union. He went to Rome, Italy, with the 1960 U.S. Olympic Boxing Team. He won three bouts, and then defeated the Polish fighter Zbigniew Peitrzkowski. The American fighter secured the light heavyweight class gold medal. According to Biography, being 6-foot-3-inches tall Ali was a striking figure inside the ring, and soon he was also known for his elaborate footwork and surprising speed. One Response to "Three-Time Heavyweight Champion Muhammad Ali Dies at Age 74"